When making changes to Windows, no matter how careful you are, there will be times when things just go wrong. It can happen in any number of situations like when you make changes to Windows Registry, installed a new driver update, changed settings that you don't know for sure, etc. 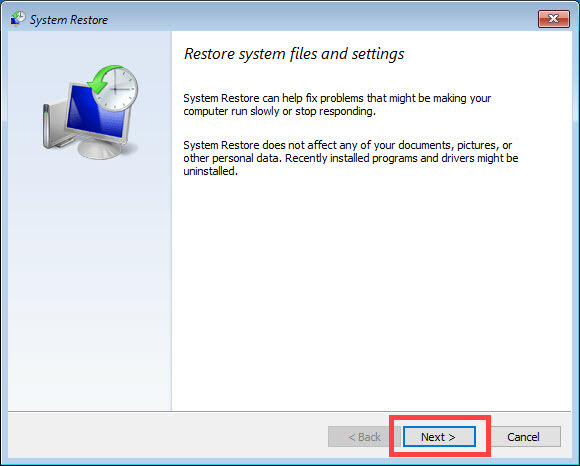 In those situations, System Restore can help you restore Windows system to its know good state. 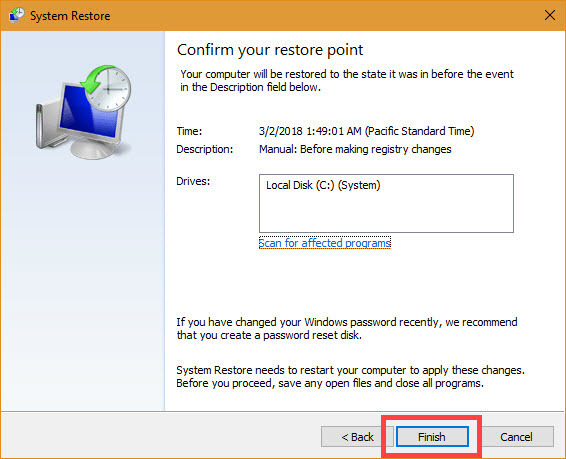 When you create a system restore point, Windows will take something like a snapshot of current working state and saves it in case of an emergency. 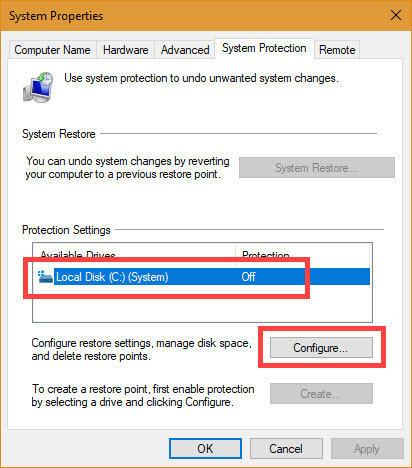 You can then use that restore point to restore windows system to its previous state. If you think about it, with just a few clicks, you can save hours of reinstall Windows and other software. No to mention the frustration of configuring all those software. 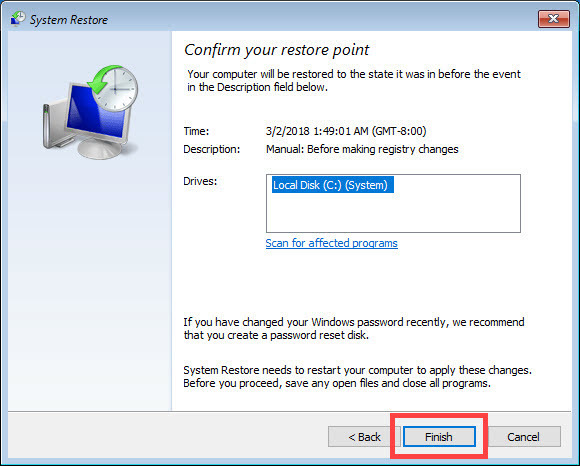 In this guide, I will be as thorough as possible and try to detail what system restore can and cannot do, how to enable system restore, how to create a system restore point and how to restore Windows using system restore point. So, to get you started, here is a detailed guide on how to use System Restore in Windows 10. 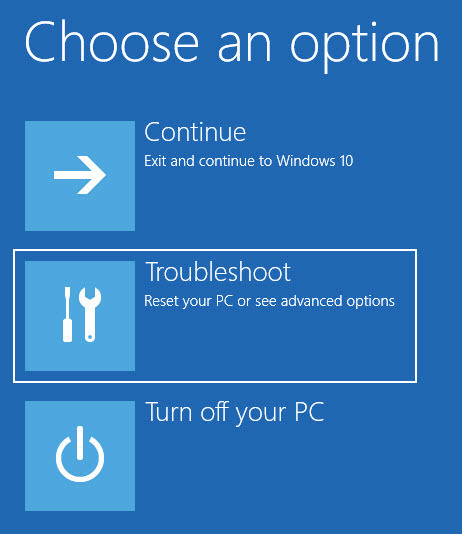 I'm showing the procedure on Windows 10 but the guide will work on Windows 7 and 8 too. Before getting started, you should know what exactly System Restore will and will not do when you chose to restore your system. 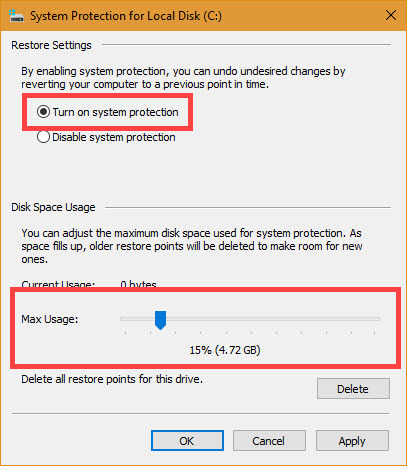 This gives you a better idea and judgment in creating and restoring system restore points. Uninstall programs that you've installed after creating a restore point. Same with Windows updates. Restore any all changes made to the system files including Registry and Group Policies. Delete or restore your personal files. For instance, files in folders like Pictures, Downloads, Documents, etc., will not be touched by System Restore. Remove or clean viruses or malware. Mostly any infections will be unaffected. Use a good anti-virus or malware program to get rid of them. Restore or recover deleted data. System Restore is not a data recovery program. For that, you need to use a dedicated software that is designed to recover deleted files. Now that's out of the way, let us see how to use System Restore on Windows. By default, System Restore is disabled in Windows. One of the obvious reasons for this is the amount of hard disk space that needed to create and manage restore points. So, before you can use System Restore in Windows, you first need to enable system restore. 1. In the start menu, search for "View advanced system settings" and open it. 2. The above action will open the "System Properties" window. Here, navigate to "System Protection." Now, select the C drive (system installation drive) and click on the "Configure" button. 3. In this window, select the option "Turn on system protection." Use the slider under the "Disk Space Usage" section to assign the maximum amount of space system restore can use. When you are sliding, Windows will show the actual space you are allotting in MBs or GBs. Click on the "Ok" and "Apply" button to save changes. Tip: As a rule of thumb, assign 10% to 15% of your C drive space. This ensures that you will have multiple restore points to fall back. When there is no more space, Windows will automatically delete old restore points to create new ones. 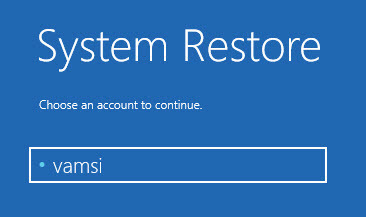 That's it, you've successfully enabled System Restore in Windows. 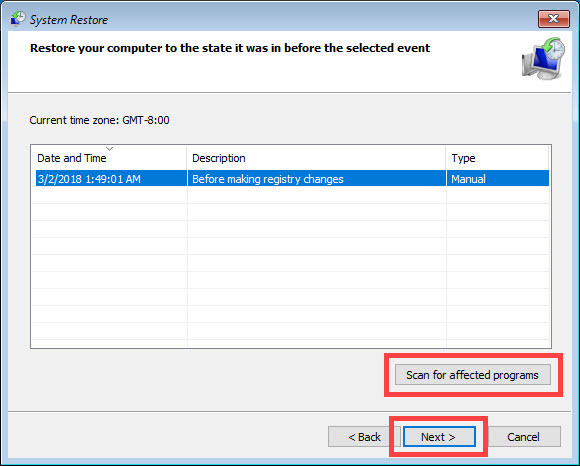 In future, if think you no longer need the assistance of System Restore feature, you can disable System Restore by selecting the radio option "Disable system protection." 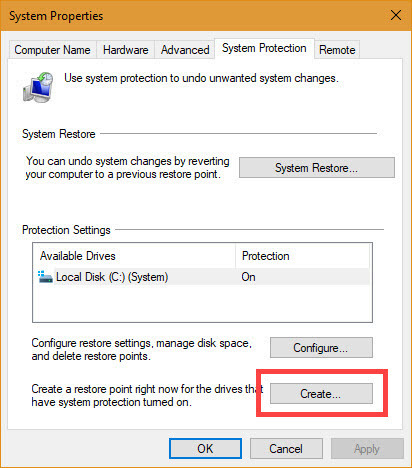 Once you've enabled system restore, you can create a system restore point any time you want, like before editing Registry or changing Group Policy settings. In fact, make a habit of creating a system restore point whenever you are making a big system change, installing or uninstalling a software. After all, as someone already said, it is better safe than sorry. 1. To create a system restore point, search for "create a restore point" in the start menu and open it. 2. In the System Properties window, select C drive under "Protection Settings" and then click on the "Create" button. 3. You will be prompted to give a description to the system restore point you are about to create. Give a meaningful description and click on the "Create" button. 4. That's it, Windows will start the process of creating a system restore point. 5. Once Windows is done, it will let you know the same. Click on the "Close" button and you are done. Just as you can easily create a system restore point as and when needed, you can easily restore Windows when you think your system is not working as it should or to revert the changes you just made. There are two ways to restore Windows system. The first one is useful when you can boot into your Windows machine. The second one is useful when you cannot boot into the Windows machine. For instance, when you mess up a Registry entry or some other important system files, your actions might corrupt Windows which in turn prevents you from booting into Windows. In those situations, follow this second method. I will show both ways. Follow the one you think that meets your current need. When you can boot into Windows, it is very easy to restore Windows using a system restore point. 1. 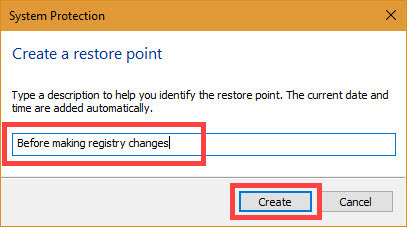 To start off, search for "Create a restore point" and open it. 2. Now, click on the "System Restore" button. 4. From the list, select a restore point depending on your need and click "Next." 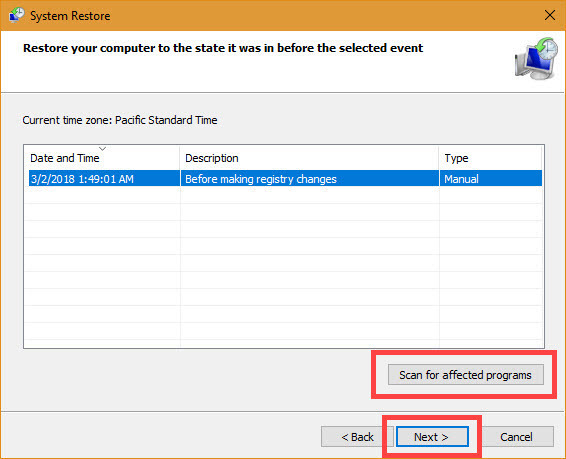 Tip: By clicking on the "Scan for affected programs," you can see any programs and drivers that are affected by the system restore you are about to perform. 5. Finally, click "Finish." You might receive a warning message, simply click "Yes" to continue. 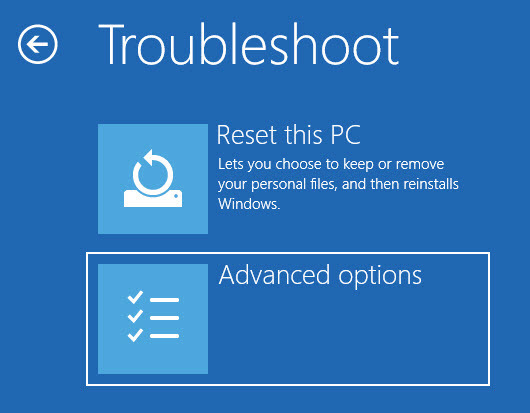 Depending on your system, it can take a few minutes to complete the system restore. So, sit back and wait until the procedure is complete. When you cannot boot into Windows, obviously, you cannot follow the above procedure. In those situations, you can use the Advanced System Settings to restore Windows. Follow the below procedure and you should be good. 1. First off, try to start your system. Obviously, it will fail to boot. When it happens three times, Windows will show you the advanced settings screen. Here, click on the "Troubleshoot" option. Note: If you cannot see the advanced options then plug in Windows 10 bootable media like USB and select "Repair" on the installation screen. 2. Next, choose "Advanced Options." 3. From advanced options, choose "System Restore." 4. For security reasons, windows will ask you to choose your account. So, select your account. 5. In the next screen, enter the user account password and click on the "Continue" button. 6. In this Windows, click "Next." 7. Now, select the restore point and click "Next." 8. Click on the "Finish" button. You might receive a warning message, simply click "Yes" to continue. If everything goes well, your system will be restored within a few minutes. As you can see, enabling and creating a system restore in Windows is very simple and easy. Not only creating but restoring is also pretty easy. So, as I said earlier, before making any big changes like editing registry, changing group policy settings, installing or uninstalling drivers and programs, make a habit of creating a system restore point. It just takes a couple of minutes. In the unlikely event, it might save you a few hours worth of work and frustration when gettings started from scratch. Then again, keep in mind the limitations of System Restore. Also, System Restore is an alternative to a proper and full system backup. For better protection, create a full system backup. Hope that helps. Comment below sharing your thoughts and experiences about the System Restore feature in Windows.